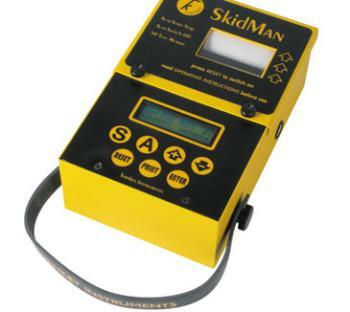 SkidMan is the most up to date and versatile instrument available for brake and skid testing, road traffic accident investigation and reconstruction, and vehicle safety inspections. It is portable, easy to use and produces a hard copy of the test results on a built-in printer. SkidMan was developed in conjunction with the South Yorkshire Police Authority.